While most of our office support is done onsite at the business, the unique platform of satellite offices or cloud-based services requires fast and reliable remote computer support. We understand that the technology & application support for different industries is also unique, and downtime is not an option. That’s why Part Time Network Admin is the IT partner of choice for many busy small and medium businesses. 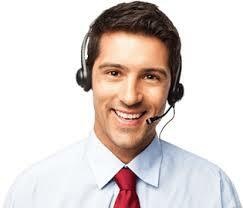 Call or request support after-hours and get a live person immediately. We can troubleshoot your connection, help you with an application error, or answer any type of IT question. We are even able to perform quick server maintenance and troubleshoot many user issues without an onsite visit. Services that usually fall under this category include technical support that affects a single user, preventative maintenance, monitor logs and backups. We will always call or email to notify you of network and server maintenance, and ask about any open issues you may be having.